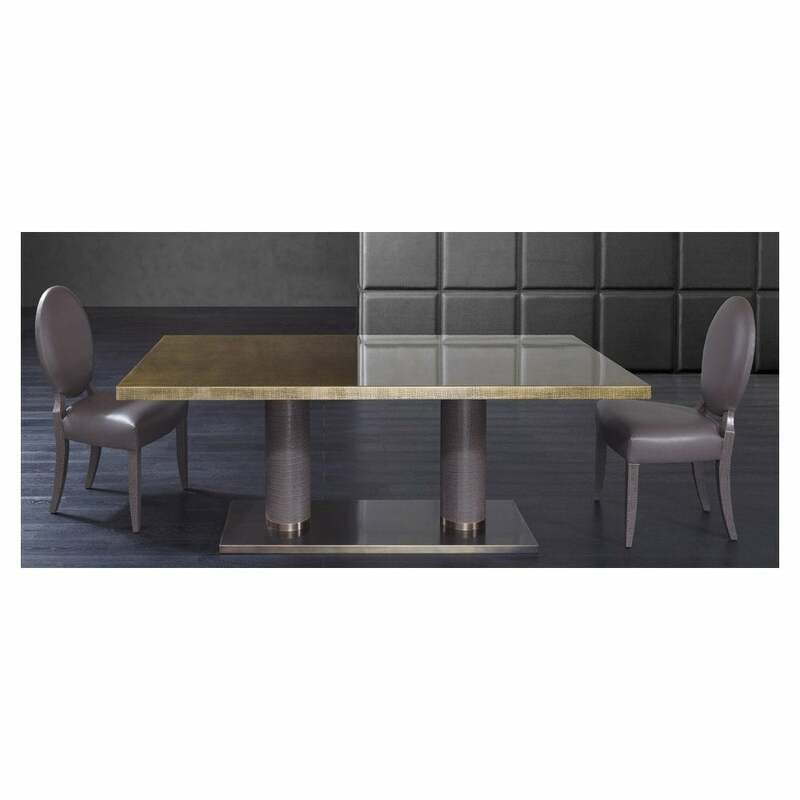 Perfect for entertaining and family gatherings, the Fujico Dining Table by Rugiano draws inspiration from the sumptuous interiors of the Art Deco era. The rectangular table-top can be realised in the finest leather, varnish or decorated with exquisite paint. The striking cylindrical legs are upholstered in Pelle leather with beautiful detailing and precision. A rectangular base is expertly crafted from steel or bronze to complement your lighting and fittings. Available in a range of bespoke options, choose subtle and sophisticated colour combinations of taupe, stone and cream for understated Italian glamour. Fujico is available in 4 sizes to suit the scale and requirements of your dining space. Get in touch with our team for more information, samples and advice.